This little pond in the Winter Park, Colorado, ski village offers great reflections on calm mornings. This Winter Park summer images shows just about perfect conditions as clouds drift over Grand County and the ski base. 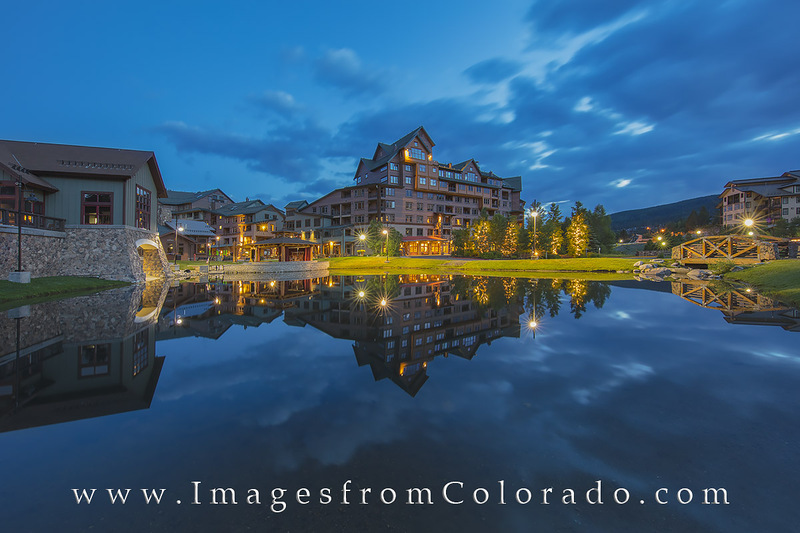 The water was calm and the sun was on the rise in this Rocky Mountain resort town. Photo © copyright by Rob Greebon.